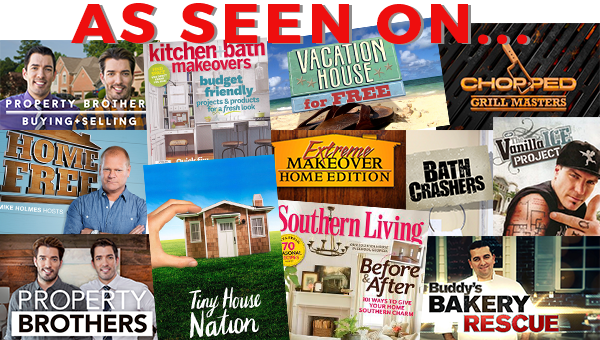 From HGTV’s Property Brothers, FOX’s Home Free, FYI Tiny House Nation, DIY Network and ABC’s Extreme Makeover: Home Edition, to Metropolis, Veranda and Southern Living, our building products and home decor clients have “starred” in hundreds of TV shows and magazine spreads, as direct result of our hard work and aggressive, proactive efforts. On average, our team places products in 15-20 placements each month. Producers have come to rely on us as a trusted partner in producing their shows and a source of high-quality, camera-ready products for their projects. Because of that, we frequently have multiple clients represented on any given show. Here’s a list of television, print and showhouses that we’ve worked with. Click on each link below, to see photo galleries, links or magazine spreads.